Las Campanas Compadres, Inc. (LCC), a registered 501(c) 3 corporation, offers free ½ hour tutorial therapeutic riding and swimming lessons for people of all ages with disabilities. To date, LCC has over 100 registered students and has underwritten approximately 8,000 free lessons. 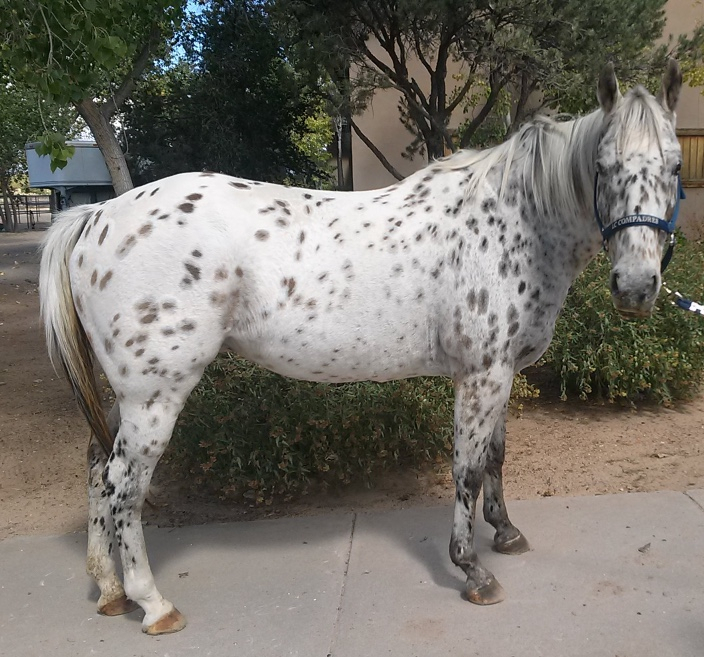 We have three horses in our program: Sunny, Bolero and Ghost. All of them do a great job for us, but it costs a lot of money to keep them housed, fed and healthy. We are hoping you can play a part in underwriting the cost of these amazing animals and we encourage you to visit us on a Monday when our riding lessons occur to meet our students and their mounts! Entry filed under: Fundraising for non-profit group. Tags: Fundraising for Program Horses, Homes for LCC Horses, LCC on Crowdrise.